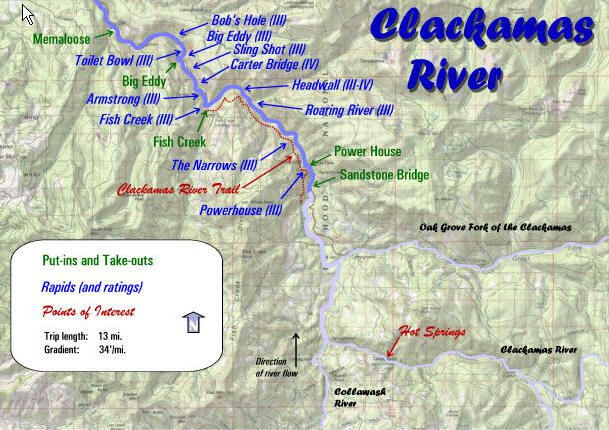 The Clackamas River is well known as one of the classic whitewater rafting runs of the Pacific Northwest with plenty of great class III-IV intermediate whitewater. At least a dozen lakes can be found among the peaks and ridges of the surrounding area and a 68 mile trail system winds its way through the old growth Douglas Fir, western hemlock and past deserted mine shafts. If you're very lucky you might even spot a Northern Spotted Owl. In the context of the entire Clackamas River , this portion of the basin is critical for the production of wild fish. Coho, spring Chinook, steelhead and resident cutthroat and rainbow trout spawn and rear in the watersheds of the Collawash and surrounding rivers. Because of the upper basin's importance for wild fish, it is important to restore degraded areas and protect high quality habitats. Forty-seven miles (76 km) of the Clackamas River, from Big Springs to Big Cliff, are federally protected as part of the NWSRS. 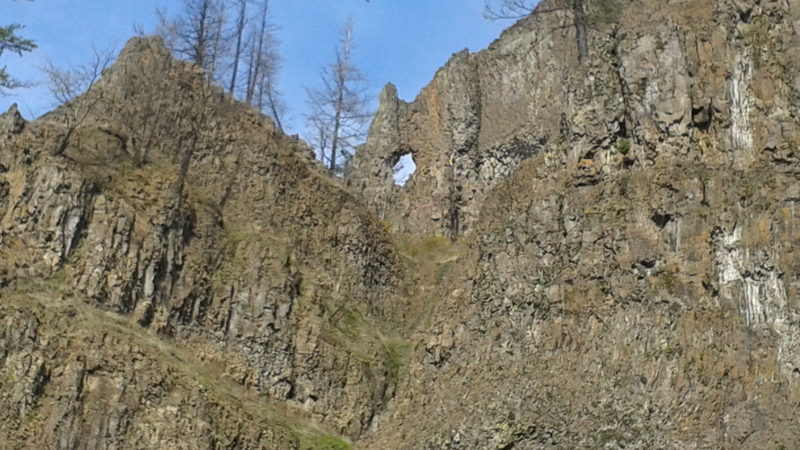 Of these, 20 miles (32 km) are designated as "scenic" and 27 miles (43 km) as "recreational". The protected portion of the Clackamas features five categories of resources that are considered to be "outstandingly remarkable", defined by the NWSRS as having "importance to the region or nation". The five are opportunities for recreation such as white water rafting near the Portland metropolitan area; anadromous fish habitat supporting wild late winter coho, spring chinook, and winter steelhead; habitat for the federally threatened bald eagle and northern spotted owl; potential habitat for the threatened peregrine falcon; the forests of old-growth Douglas-fir along its banks; and historic importance. All 13.5 miles (21.7 km) of a tributary, the Roaring River, are designated as Wild and Scenic and are within the Roaring River Wilderness. Another 4.2 miles (6.8 km) of the South Fork Clackamas River were designated as Wild and Scenic along with the creation of the Clackamas Wilderness in 2009.